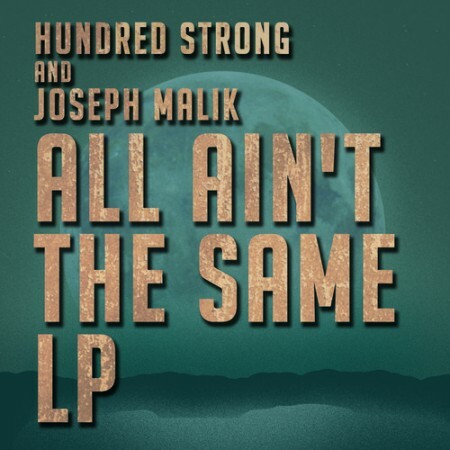 Smooth organ like synth, syncopated drum patterns, and genre bending grooves, are what I have clawed at to describe Hundred Strong & Joseph Malik’s soon to be released “All Ain’t the Same”. It’s music I would associate with driving around a deserted city centre in a nice car at night, if I owned a nice car or wasn’t petrified of the dark. That aside, it’s tunes like “Out of Time” that you can see some individual in the far future crate digging in some record shop (assuming music is still available physically) and thinking, “this is tight”. I really hope that it doesn’t come to that, and perhaps “All Ain’t the Same” is a first in many releases to break Hundred Strong & Joseph Malik to a wider audience. Backed by Gilles Peterson, Mr Scruff, Daddy G, and DJ Food, it’s unlikely that will happen.